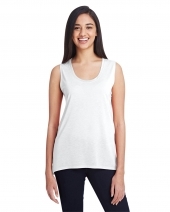 Buy Ladies Sleeveless on Discount Price - Ustrade Ent. 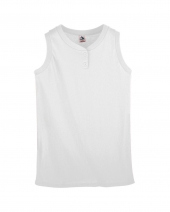 Ladies look always hot in sleeveless. 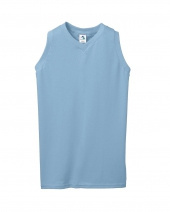 We offer best sleeveless clothing for ladies. These are available in awesome colors and lovely pattern. They are always loved by ladies. Wicks moisture away from the body. Ladies' fit. Heat Sealed label. 1x1 rib-knit V-neck collar. Double-needle hemmed armholes and bottom. Ladies' fit. 1x1 rib-knit collar and armholes. Two-button placket. Double-needle hemmed bottom. Ladies' fit. 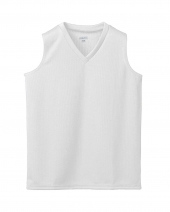 1x1 rib-knit V-neck collar and armholes. Double-needle hemmed bottom. Girls' fit. 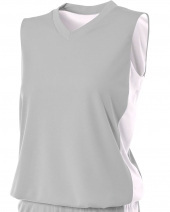 1x1 rib-knit V-neck collar and armholes. Double-needle hemmed bottom. Wicks moisture away from the body. Girls' fit. Heat Sealed label. 1x1 rib-knit V-neck collar. Double-needle hemmed armholes and bottom. 4.0 oz./yd? ; 65% polyester, 35% rayon; 32 singles; High stitch density for smoother printing surface; Loose fit a-line silhouette with side seam; Te.. Girls' fit. 1x1 rib-knit collar and armholes. Two-button placket. Double-needle hemmed bottom. 3.5 oz.,65% polyester/35% combed ring-spun cotton heathers; 40 singles for extreme softness; Fabric laundered for reduced shrinkage; Self fabric bin..
Wicks moisture away from the body. Heat sealed label. Self-fabric collar. 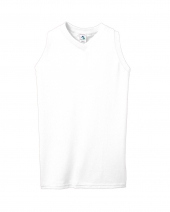 Set-in sleeves with shoulder inserts. Double-needle hemmed sleeves and ..
Ultra tight knit resists snagging. 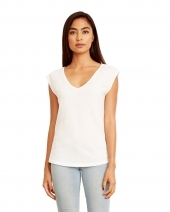 Self fabric v-neck collar. 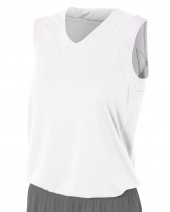 Contrasting white shoulder panel. 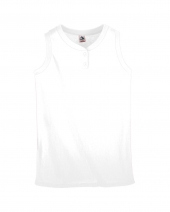 Moisture wicking, odor resistant and stain releas..
Ultra tight knit resists snagging. Contrasting side panel on both sides. Open bottom for screenprinting. 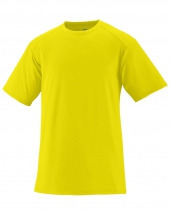 Moisture wicking, odor resistant and sta..